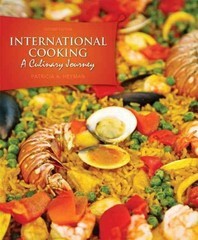 International Cooking 2 Edition Streamlined in this edition, INTERNATIONAL COOKING, 2/e looks at the world’s cuisines and how they developed and evolved. Organized by continent, each country and cuisine is explored in terms of its history, topography, cooking methods, common foods, flavorings, and general characteristics. Over 340 recipes appear in this edition and represent a variety of foods and dishes from all segments of the menu. This edition features 90 brand new recipes, three new countries and ideas for modernizing classic recipes. With an emphasis on flavor components and traditional and contemporary cookery, this edition reflects the evolving nature of world cuisine.